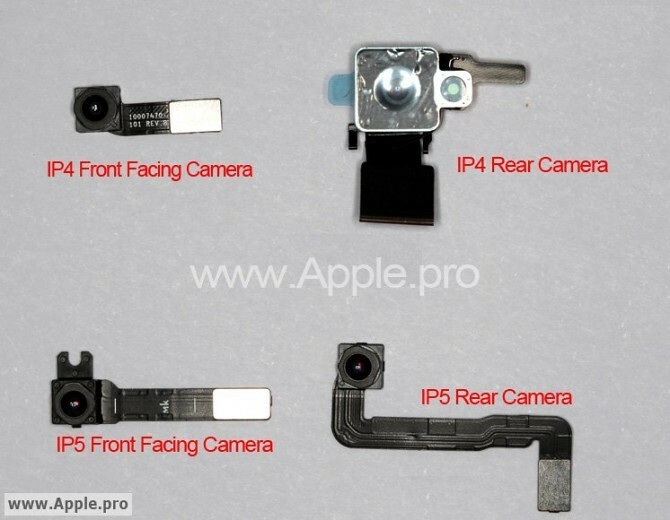 iP3: iPhone 5 front and rear-facing camera parts appear, point to relocated camera flash? iPhone 5 front and rear-facing camera parts appear, point to relocated camera flash? The back camera sensor also appears to have a re-design but is lacking two critical elements from the iPhone 4′s piece: the LED camera flash and the piece that blocks camera/flash interference. This works perfectly with the apparent fifth-generation iPhone case leak from today – and it seems possible that Apple is actually relocating the iPhone’s camera flash for their next iPhone. The image comes to us from the typically well-sourced Apple.pro. Thanks Weito.